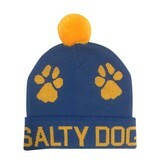 Keep your head and ears warm with the Salty Dog pompom beanie. Made of 100% acrylic, this beanie features two paw prints on the front with a solid back. 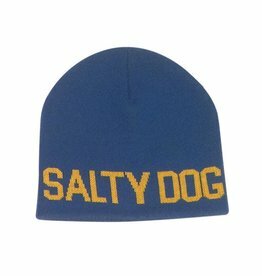 Keep your head and ears warm with the Salty Dog beanie. Made of 100% acrylic, this beanie features two paw prints on the back.